Postpartum depression is a disorder which affects thousands of women in the world. It is something that could happen to anyone. In this case we would like to talk about what the singer Adele has shared with the world, that she too has been through it. An issue of Vanity Fair revealed that the singer spoke of her pregnancy and the birth of her son, Angelo. Her baby, who is now four years old, her love and inspiration, but whose birth put his mother through some hard times. Adele is a 28 year old woman who has won 10 Grammys and one Oscar. She is recognized for her prize winning ballad Skyfall, which became well known through the James Bond film of the same name. These days she is focused on her music and motherhood, but she is concerned about the taboo surrounding postpartum depression. As the artist revealed, she is not afraid to speak about her condition. On the contrary, she wants other mothers to feel free to do so. This disorder is sometimes treated with callousness, as if women do not have the right to feel upset and express that. Adele said that to her knowledge of postpartum depression, in England it meant not wanting to have a child. It worried her to think that she could cause her baby harm. She didn’t feel satisfied that she was doing a good job as a mother. Still, she didn’t tell anyone. She was very afraid. Her husband suggested she seek support from other women. At first she resisted the idea, and later she was surprised to learn how many women were in the same situation. In fact, they had not only been through the same thing, but were also scared to talk about it. However, she said that four of her friends who had had the same feelings were not ashamed to say it. She wasn’t comfortable taking antidepressants, instead, she let herself be inspired by women who posessed more patience. In particular, she saw herself reflected in the bravery of pregnant women who had other children. 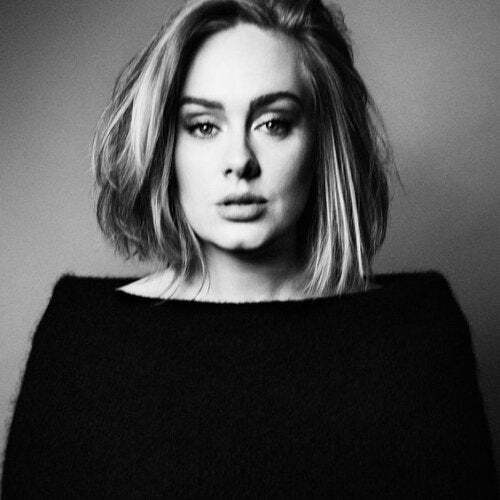 Although the majority of Adele’s songs are melancholic and sad, she assures that her personality is not. Despite this, she tells a sad story of the death of her grandfather, and how she had to go to therapy to work through it. At this time, she was feeling something similar, but she decided to face it: I’m going to give myself an evening just for me, without the baby! Adele’s friends did not like this comment and they challenged her because of it. She also explains that talking with someone at this stage does not work, because you’re tired and feel like everyone is judging you. One of her biggest problems was that she felt guilty for participating in her professional life and motherhood at the same time. In this area, no one could help her, much less understand her. She came to the conclusion that spending a day without her son made her feel bad, but that not doing so was much worse. She always brings him with her on tour, she tries to fully carry out her role as a mother, and it doesn’t matter. Despite all of this, she still struggles when she is not on time for her son to go to bed. Adele cannot overcome the idea that she is failing and that she is not the best mother. The singer confesses that she would rather do something else, and that every moment she can have to herself is a blessing. She is congratulated for her decision to be a mother in the middle of her successful career. She says the brave ones are really those who do not have children. She believes that it is more brave not to feel pressured into being a parent. When it comes to her depression, she expresses that it is her get out of jail free card. While she struggles with it, she can have the space to free herself. She says she has no further desire to be a mother, and that with her son and her partner’s daughter she feels complete. Nevertheless, there have been recent rumors of another pregnancy for Adele.